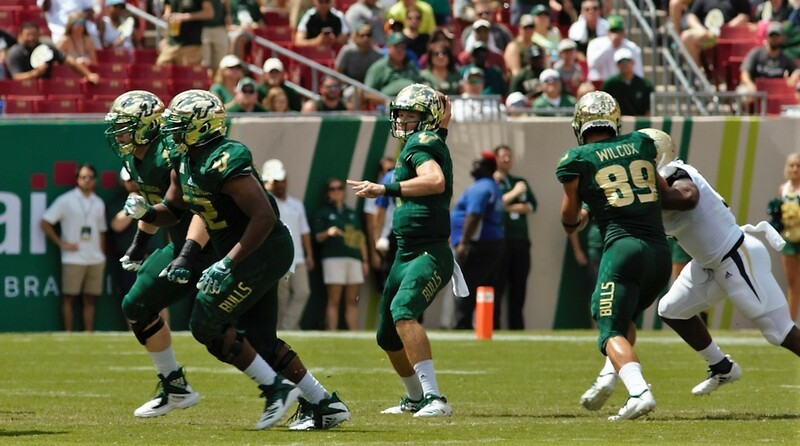 The South Florida Bulls (2-0) resume play this weekend at Soldier Field against host Illinois (2-0). The Fighting Illini are off to an unimpressive start in 2018, coming from behind to beat both Kent State and Western Illinois at home. A win today would make the Illini 3-0, the first time since 2011 to reach that mark. During fall practice Lovie Smith remarked to writers that year three is the year to expect big results. Well, this week is the first week of potential big results. The Bulls are coming off a confidence boosting win over Georgia Tech and may still remember the 47-23 beating provided to the Illini in another NFL stadium – Raymond James Stadium in Tampa. 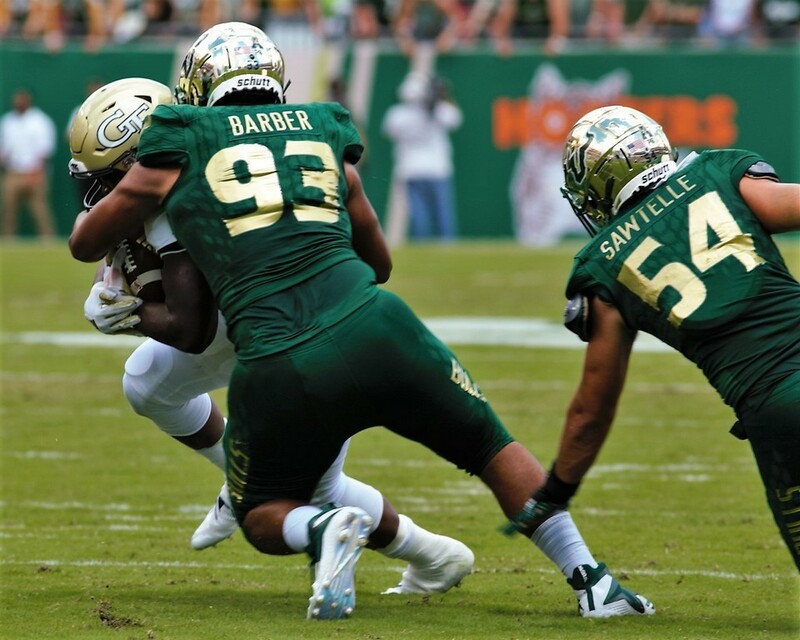 USF is also looking to extend its streak of five straight wins over P5 programs. Big question marks exist for Illinois as a number of suspended players and injuries leave the roster depleted. Five suspended players impact the defensive backfield and some offensive positions. Coach Lovie Smith has not been clear on when the suspended players will return. They have been practicing, allegedly, on the practice squad this week. The Illini will feature a strong ground game, averaging 258.5 yards per game, good for 27th in the nation. It’s a balanced attack with running backs Reggie Corbin and Mike Epstein each totaling more than 130 yards through two games. South Florida struggled to stop the Yellowjacket ground game one week ago, surrendering 419 yards on the ground to the Tech tripl e option. Last season, the Bulls feasted on the return of former Buccaneer coach Lovie Smith and his flimsy Illinois defense. Quinton Flowers threw for four touchdowns and ran for another in the lopsided affair. Blake Barnett, the USF transfer QB, will look to keep his hot hand serving up completions to a stable of gifted receivers. Barnett is averaging more than 250 passing yards per game and an additional 58 on the ground, many of which came last week against an ACC defense. The Bulls are not without injury themselves and are hoping to see their leading rusher, Duran Bell, return as well as fellow running back Jordan Cronkite. A potential trap game for the Bulls coming off the win over Georgia Tech. First game away from Raymond James and with the first American Athletic Conference game at home next week, this game could end up a lot closer than Bulls fans and Illinois writers believe it will be. Still, the Florida Speed and skill players put this one out of reach for Lovie and the Illini, Bulls win 41-20.